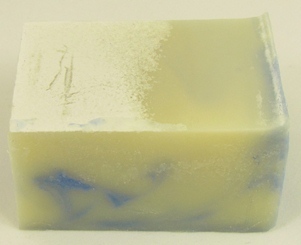 Here on this page you'll find our ever-changing collection of pretty and colorful soaps scented with essential oils - no fragrance oils are used. In addition to the bath soaps on this page, all of my facial soaps and sea salt soaps - except the unscented ones, of course - are also scented exclusively with essential oils. 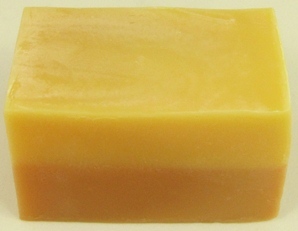 Lemongrass and orange essential oils in a two-toned orange and yellow layered bar. 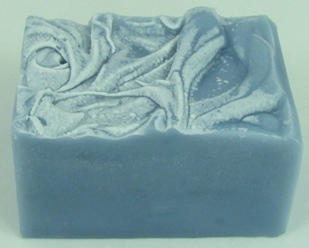 Ice blue peaks and swirls top this fresh herbal creation. A 19th century nickname for absinthe liqueur, Green Fairy is a blend of anise essential oil with herbs, but without the wormwood! Patchouli lovers' delight! 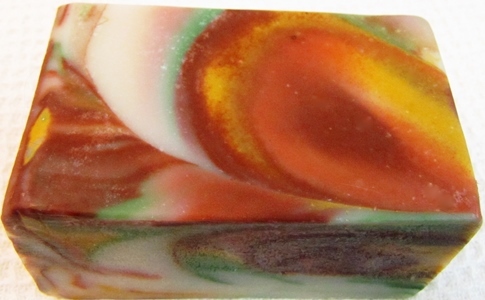 With one full ounce of essential per pound, this soap is strongly scented with dark Indonesian patchouli oil and swirled with yellow, green, and brown earth tones. Formerly called Lavender Anise. 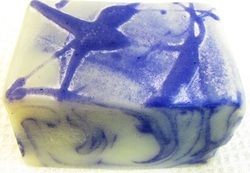 Lavender softens and sweetens the anise scent; if you like Good and Plenty candy you’ll fall in love with this soap. 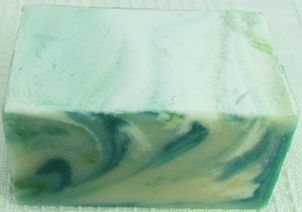 Chilly peppermint and sweet spearmint blend to make a fresh morning wake-me-up soap. Pink grapefruit, lavender and rosemary essential oils scent this blue and white swirled bar. 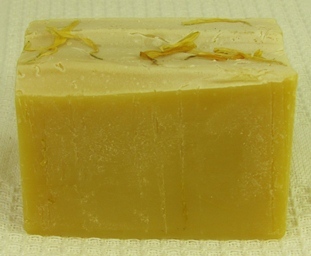 The same fragrance blend with unisex appeal that I use in my shampoo bars: orange peel oil, lavender, rosemary and ylang ylang, in a yellow bar topped with calendula flower petals. 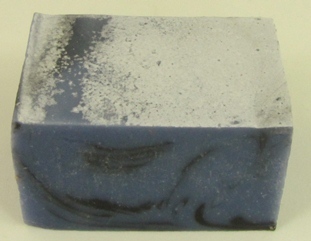 Scented with a blend of French lavender and lavandin oil, a hybrid of cultivated lavender and wild spike lavender. 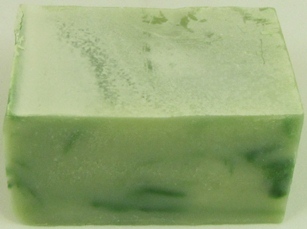 Lavender, rosemary and peppermint in this pale green bar with dark flecks of neem leaf. It contains both pumice and ground luffa gourd to provide exfoliation and thorough but gentle cleansing as a hand soap. Some people like it as a bath soap, too!